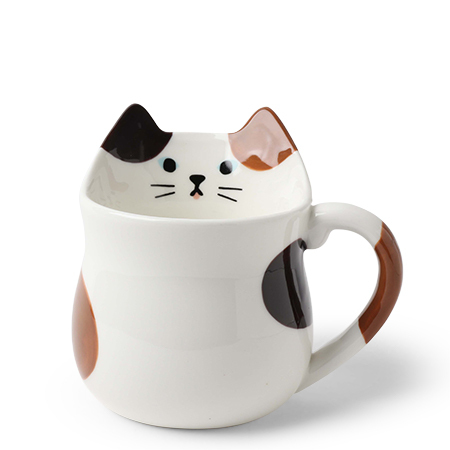 Calico cat whimsical mug designed in Japan available at Miya. Designed by Decole Japan. Made in China.